Security barriers are an easy, aesthetically pleasing way to maintain boundaries. Public safety and the protection of unwanted access to buildings has become a necessity, and security barriers can provide the strength, flexibility and aesthetic values needed. 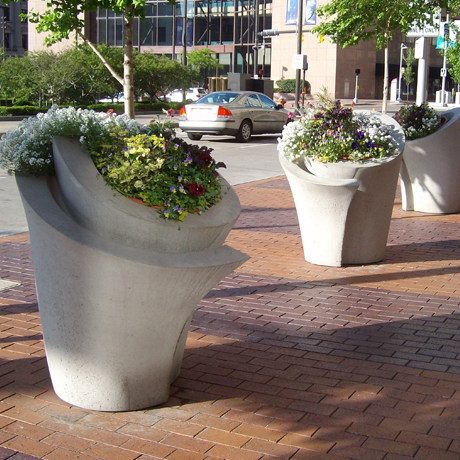 Concrete Planters: Chosen by state and federal government agencies, fast food restaurants, department stores, educational facilities, parks and recreational areas to create safety and security. Large concrete planters provide you with the means to create a living treescape at the entrance of your facility. 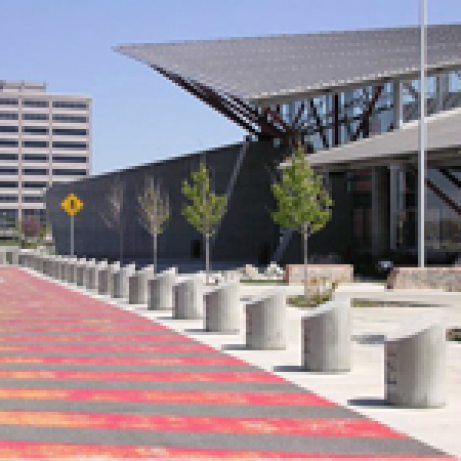 Steel Barriers: The easiest and most effective way to protect your recreational facilities and buildings by creating perimeter protections and traffic control. Some models are fabricated to provide bicycle parking too. Security barriers come in a variety of sizes and designs with a wide variety of selection in color choices and textures. Lighted barriers are also available with incandescent or metal-halide lighting to ensure that vehicles don’t park too close to your building, while providing visible security management. Pedestrians walking close-by in the evenings will be thankful for the peace of mind, and your business will be thankful for the safety provided! Request a catalog or call 877-777-3700 and let our security conscious sales staff help you choose the perfect security barriers for your facility.